We are holding a series of talks around housing for older people to inform and dispel some myths. 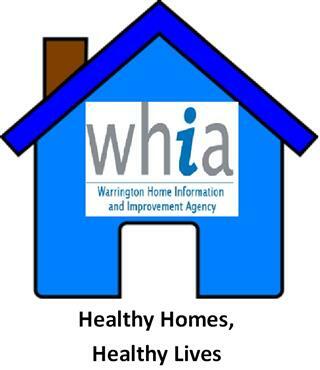 There will be a member of the Healthy Homes Team on hand to talk on Warrington Healthy Homes on Friday 26th February. This is a local service benefitting anyone over 60. The service supports people aged over 60 and helps them to stay safe and well in their homes in very practical ways. The Healthy Homes Team visit people to assess how they can support with a range of interventions including health proofing in the home, home safety and security, benefit advice and grant eligibility and support to access a range of other services. Making the home safer, eg locks, security and improved lighting. Repairs, grab rails and stair rails. Heating, servicing and repairs. Small repairs and improvements (some are free depending on eligibility and funding). Ensuring that the home suits people’s needs eg mobility issues. Handyman service. Trusted contractors. Free advice on home improvements and funding. Benefits Advice. Further sessions on Warrington Healthy Homes, Retirement Housing and Benefits for Older People are to follow in the coming weeks. We hope you can join us.